The ladies of The Nightwood know a thing or two about throwing a party. We piled into the trusty Defender for a road trip to Sauvie Island and a day playing in the sun. 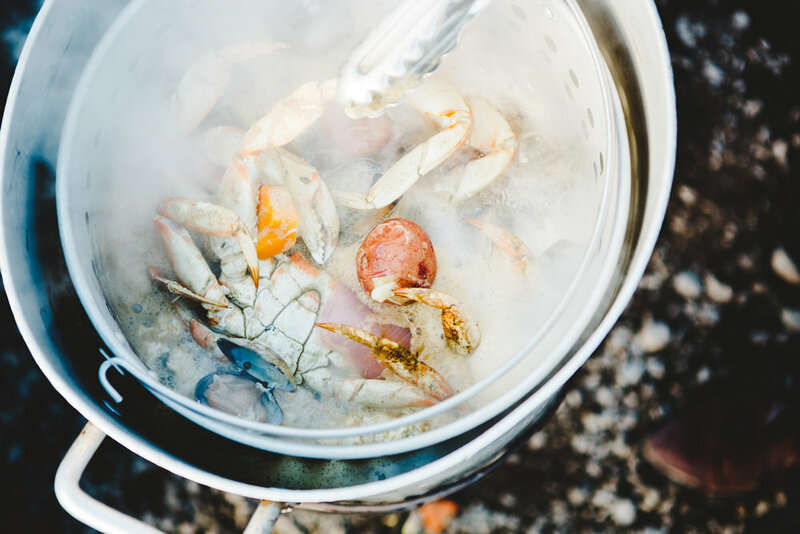 Queen Sarah Schneider and our own Cristina Baez prepared a crab boil Pacific Northwest style, with plenty of local vegetables that were almost too pretty to eat. Friends joined us and we made merry well into the night. This is what we mean when we say we're making magic! On that note, we are in the middle of a fundraising campaign to make the magic a permanent thing. If you feel moved by our efforts to make food and wine an extraordinary experience, please consider contributing HERE. We want our society to grow!